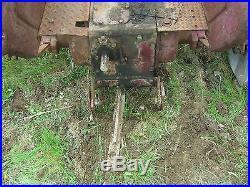 I have a Massey Harris 22 for sale. It was barn stored up until last winter. I did drive it in and out of the shop before I removed the engine. 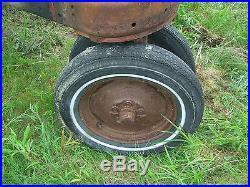 It was used on a nearby farm for farm chores before being stored in the barn. 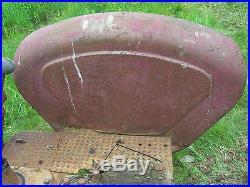 It is missing the engine and bell housing and some other parts. 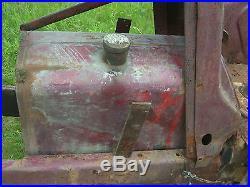 Still lots of good parts remain, fenders; floor plates; draw bar; gas tank looks to have no leaks but will need to be cleaned. 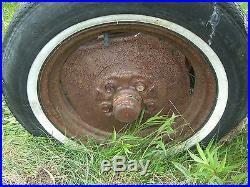 Front wheels appear to be in good shape along with the steering pedestal. 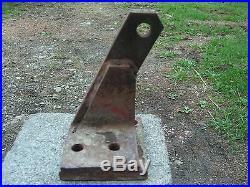 There is also the top bracket for the hydraulic cylinder for the hitch(rest of hitch is not on tractor). 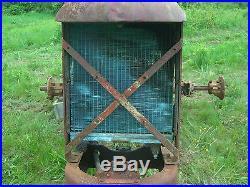 Radiator has some tubes that have been soldered and will need some work. Can assist loading but you will need a winch to pull it on a trailer. Tractor is also for sale locally. 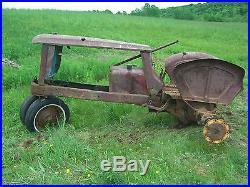 The item "Massey Harris Model 22 Tractor for Parts" is in sale since Sunday, June 11, 2017. 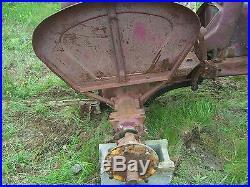 This item is in the category "Collectibles\Advertising\Agriculture\Massey Ferguson". 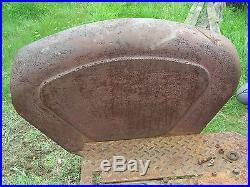 The seller is "mathew48im9" and is located in Mount Vision, New York.